In February of 1996, I (France Robinson) traveled to Nepal for the first time. Our group trekked for three weeks in the Solu Khumbu, also known as the Mt. Everest region of Nepal. Throughout this mountainous countryside prayer flags were everywhere; across suspension bridges, on mountain passes, on the roofs of monasteries and homes, and at stupas. I was captivated by them. The flags' movement, colors and the intentions of those hanging them lit my heart with joy. 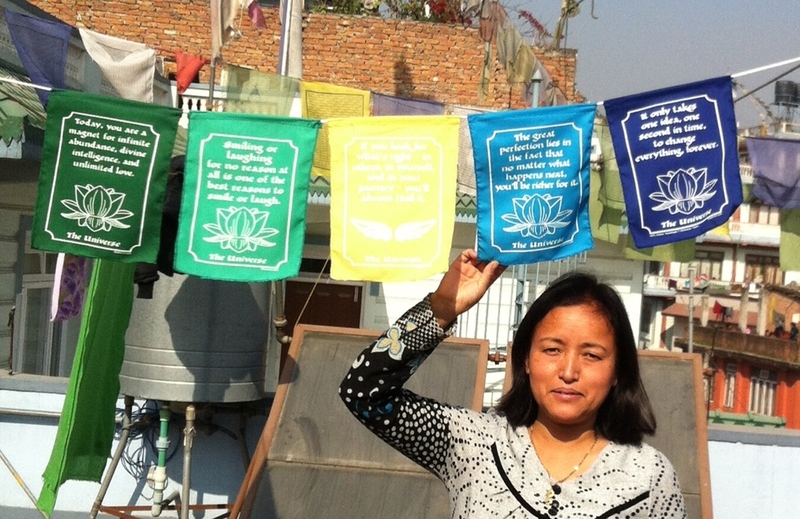 I was so moved by the Sherpa people and their prayer flag tradition that I was inspired to create a western variation of original prayer flag designs in English. For 18 years, I offered these. 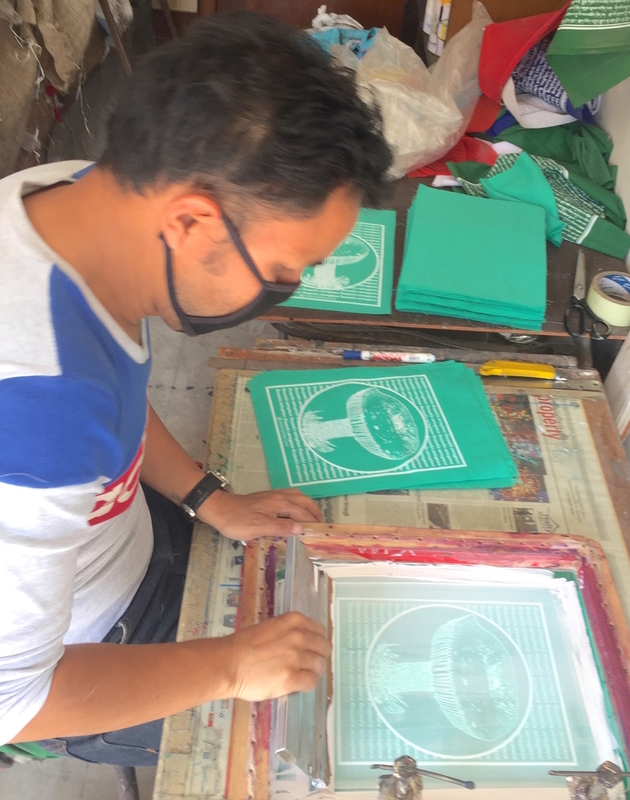 I was fortunate to connect with a 3rd generation Tibetan Buddhist prayer flag making family in Boudha, Nepal (an outer area of Kathmandu). We've had a wonderful relationship for all these years and they continue to make all of our custom flags. 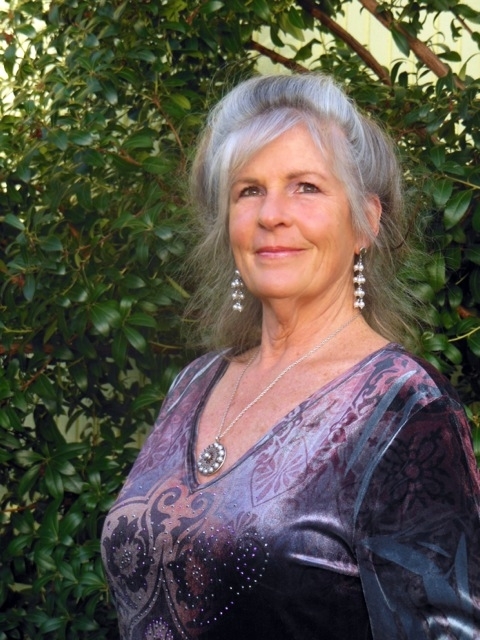 I am passionate about my business and love the wonderful connections I have with customers, who often become friends. 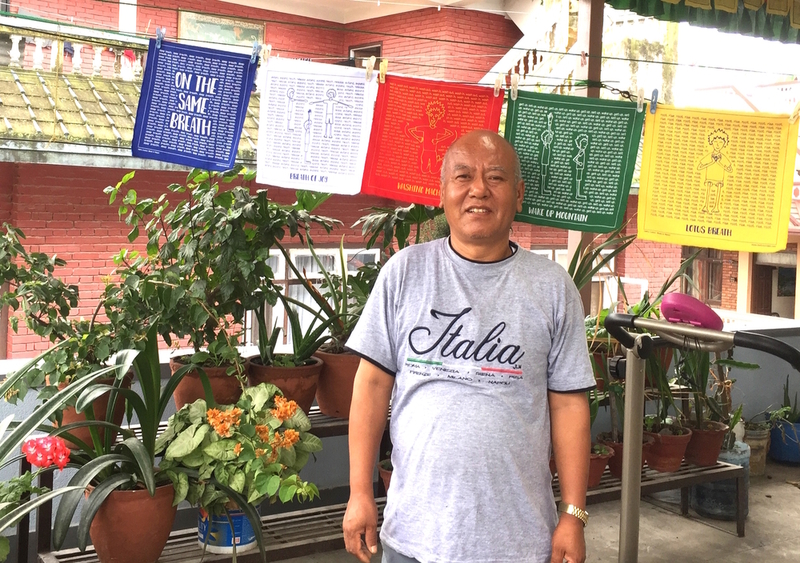 Ghyamjo Lama, founder of YLH, shown here with flags we made for Georgia Breathes.org. His daughter, Kuisang Lama is currently the manager of the family business. She is standing in front of a set of custom flags made for TUT.com. 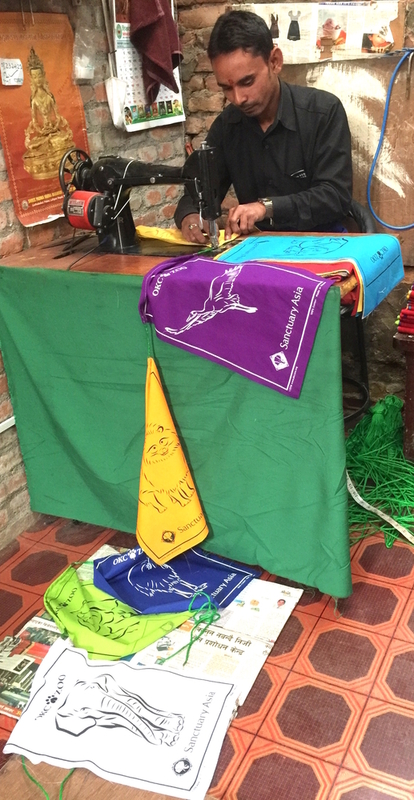 Our custom flags are handmade by silk screening, one flag at a time. Then the flags are hemmed and sewn on their cord. We are confident that the workers are well paid, are given breaks and are treated kindly. 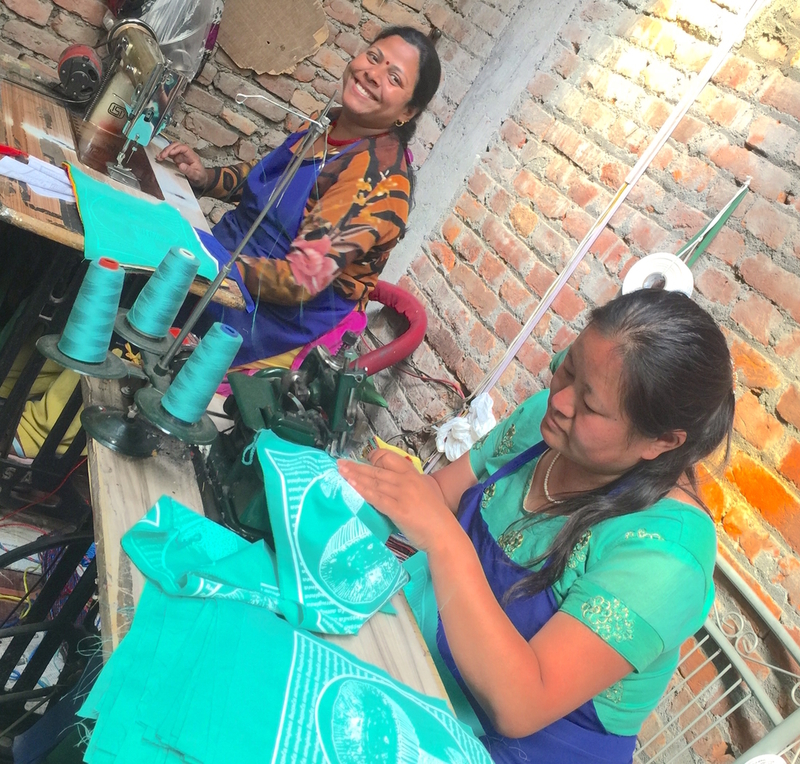 Fabric is 100% cotton, made and dyed in Nepal. Our co-creative business is an asset to their economy. And our enduring, wonderful working relationship is a gift. Both men and women make flags.